10 Business Tips Every Budding Entrepreneur Should Learn From LionHeart Movie. The Nigerian film Industry (Nollywood) is the second largest film producer in the world. In 2016, the industry contributed 2.3% (239biliion Naira) to Nigeria’s Gross Domestic Product (GDP) and employed over a million people. By 2020, It is expected that the industry will generate about $1billion in export revenue by 2020. In 2016, Netflix announced that they will make their services available to 190 countries including Nigeria. Netflix has over 130 million subscribers. About 73 million subscribers are outside the U.S. In December 2018, Netflix acquired the first Nollywood movie LionHeart. LionHeart is Genevieve Nnaji’s directorial debut, and it’s 94 mins starring Genevieve Nnaji, Nkem Owoh, Pete Edochie, Onyeka Onwenu, Peter Okoye, and Kanayo O Kanayo. 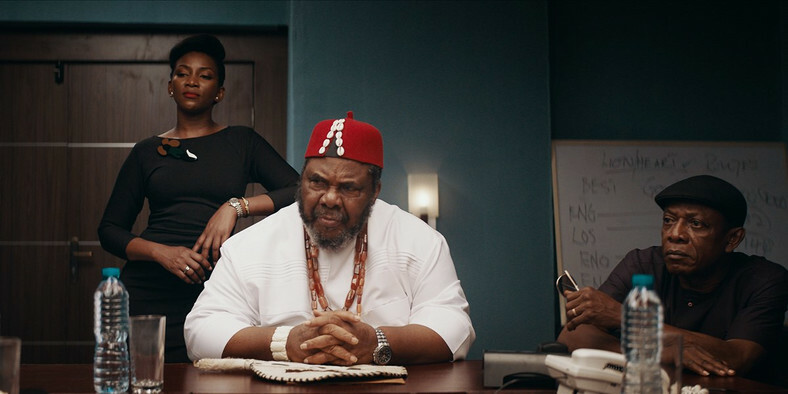 The plot revolves around a daughter (Adaeze) who worked with her uncle (Godswill Obiagu) to save her father’s transport company (LionHeart Transport) from bankruptcy. Being the director of logistics, Adeaze was hoping to win a Bus Rapid Transport (BRT) contract in Enugu state that would help her father’s ailing bus company. As we all know, running a business can be challenging especially if you’re in Nigeria. The business environment is very dynamic and full of surprises especially if the business isn’t properly managed. In this article, I’m going to discuss ten business lessons every budding entrepreneur should learn from the movie – LionHeart. One of the reasons why businesses fail is lack of vision and values. Vision and values are the fundamental beliefs that drive business. Vision and values are the guiding principles that should remain constant in every company, even as the company grows. Any company without a vision and values will always run into challenges. LionHeart’s core values and visions are trust, family, and courage. The company set out to be the number one transport company in Nigeria. They built a strong reputation for safety, style and comfort with over 200 businesses, and 50,000 passengers. They are the soul of transport in the South–East while Maikano transport is one the leading transport company in the North. If you want to be successful in business set a clear goal and a well thought through vision and values. Your vision statement must define why your company exist and should communicate the essence of your business to your customers. LionHeart was able to secure a merger with Maikano Motors because of their common goals, vision and values. If you’re starting a business or you’re already in business make sure you identify and coach your successor in at advance. If there is no succession plan in place, then your business isn’t prepared to fill any openings in event of unexpected departures and death. Adaeze took over her father’s bus company because her father mentored her in advance. If she wasn’t mentored, her brother, who has no business interest, would have emerged as the successor and that would have been the end of LionHeart’s vision. Are you currently running a family business, make sure you have a mentor a successor. There is competition in every business. Any business that ignores competition is gearing towards failure. Competition helps businesses to offer a range of services at a reasonable price. It also helps businesses learn more about the market in which they operate. When you have a good understanding of your competitors, you’re better positioned to nurse a good idea before they do. The movie, LionHeart shows us the length at which your competitor can go to ensure they gain the market share. Not only did Igwe Pascal try to use his connection in the bank, police and an insider to stop LionHeart Transport from securing the BRT contract, he was also ready to buy the business and dominate the transport market. Thanks to Adaeze and her Uncle (Godswill Obiagu) for bringing in a better deal and keeping the stakeholder/shareholders happy. If you want to remain competitive, always conduct competitive analysis; assess your competitor’s strengths and weaknesses and implement strategies to improve your competitive advantage. Before you start a business, you need to consider how the business will affect your family. The first few years of starting or running a business can be hard on family life, so you need to let your family members know what to expect. Secondly, you need to earn their trust and support until the business becomes profitable, which could take some months or years. Thirdly, you might need to lower your standard of living and prioritise family’s needs and want. 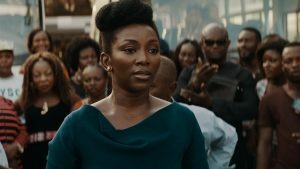 In the movie, LionHeart, Adaeze’s brother needed more money to fund his music career despite the fact that the family transport business was struggling financially. Thanks to Adaeze for managing the situation without ruining the brother-sister relationship. Many businesses have failed due to the use of the company’s funds for personal project and event. Avoid the use of business profits for family projects. Your business account is not your personal bank account. Too often many businesses feel relax when they secure one or two big contracts. They stop promoting their products or services. They neglect the fact that small customers can also help their businesses remain profitable. But what happens if one of those big customers goes away or if one of the big contracts didn’t pull through? In the movie, LionHeart Transport Company was relying on Enugu BRT Contract to get out of debt. It is the same BRT project that got them into debt in the first place. Don’t put your egg in one basket. Always market your business and build a diverse customer base so that you won’t be stranded, should your biggest customer or contract disappear. One of the fastest routes to grow, expand and protect or improve the strength or profitability of the company is through mergers, acquisition and partnership. Before you go into partnership, merger and acquisition with any company, make sure you do thorough due diligence. Your due diligence should focus on the financial condition, assets, strength and depth of the management team and customer base. The four most important reasons why companies merge with or acquire other companies are synergy, growth, diversification and competition. In the case of LionHeart Transport, the company wanted to eliminate competition posed by their competitor and they also wanted to grow. LionHeart Transport succeeded in going into a merger with Maikano Motors. The merger helped both companies increase their performance and decrease costs thereby penetrating new markets and eliminating competition. If you’re struggling to grow your business and you want to consider a merging or partnering with a company, always look for synergies between your company and the company you wish to go into a merger or partnership with. Starting or growing a business is not for the chicken-hearted, it’s for the Lion-Hearted people. In business, there will be good and bad times. So be persistent. If you fail, consider that failure as a learning curve. If Adaeze wasn’t persistent, after failing to secure the loan extensions she wouldn’t have sustained her father’s business. In business, if you believe that you can do everything yourself, then be prepared to close down your business. Always delegate some tasks and seek advice from mentors with experience and business know-how. In the Movie, Adaeze was able to manage her father’s company because she shared and received ideas and suggestions from her friends and family. If she didn’t listen to her uncle, then LionHeart would not have secured Maikano Motors deal. Cash is king in every business. Lack of cash shows that the business might not be able to pay its bills, loan, salary etc. Without money, it is extremely difficult to grow your business and run the day to day business activities. You need a positive cash flow to sustain the company. If LionHeart transport was making profits, then they wouldn’t have owed a debt of 950 million Naira. They would have paid off some debt. It is your responsibility to grow the business. It is also your responsibility to maintain good cash flow. Integrity is one of the soft skills that are required to build a successful business. Integrity means doing the right thing because it is the right thing to do. It also means being honest and truthful. Many successful businesses are built on trust and integrity. One of the reasons why businesses don’t succeed in Nigeria is lack of trust. Trust and integrity are the basis for building successful businesses. If you’re not trustworthy, then it will be difficult to obtain loans from banks or attract high valued customers. Where there is trust, people feel free to communicate ideas, and share opinions. Integrity and trust were the basis Maikano Motors went into the merger with LionHeart Transport. Adaeze’s uncle had earned the trust of Maikano Motors, the day he rescued Maikano’s son from being duped. If you want to be successful in business, know that great entrepreneurs never compromise their honesty, trust and Integrity by cheating. 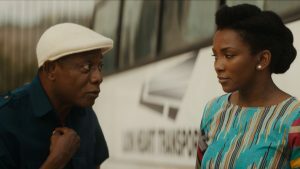 Lion Heart is one of the best Nollywood movies in recent times. 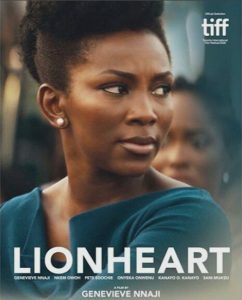 Asides the fact that Lion Heart is the first Nigerian movie on Netflix, there are several business lessons one can learn from it. If you want to succeed in business, start implementing all of the points listed above. In business, cash is king, so manage your business well and generate positive cash flow. We help people find great local businesses. Go Explore!